As I pack my suitcase and count down the days until the Disney Social Media Mom's Celebration later this week at Walt Disney World, I'm also counting down the days until the Disneyland Resort Diamond Celebration later this month. Marking the resort’s 60th anniversary, the celebration will begin Friday, May 22, 2015. Along with the updated blingy decor, new fireworks show "Disneyland Forever", new parade "Paint the Night" and new “World of Color – Celebrate! The Wonderful World of Walt Disney” show - there are so many special touches that continue to be announced. “LIVE with Kelly and Michael”: hosts Kelly Ripa and Michael Strahan will film five shows shows at Disneyland, May 18-22, 2015. Check out their show wesbite for tickets. 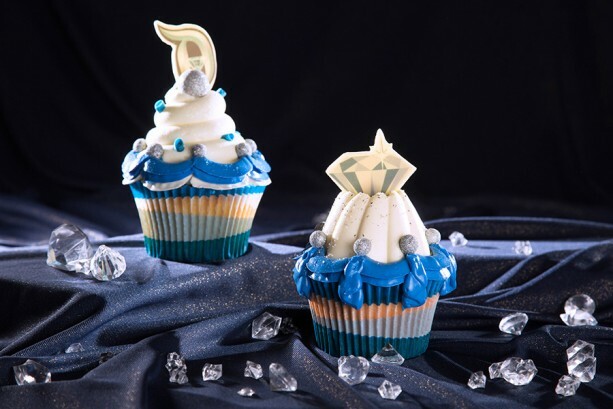 3 words: Disneyland Diamond Cupcakes. For real. There are lots of new sparkling offerings in the food and beverage category, but that cupcake is everything. And it's lemon. My fave. Dazzling new outfits for Mickey, Minnie and the gang. 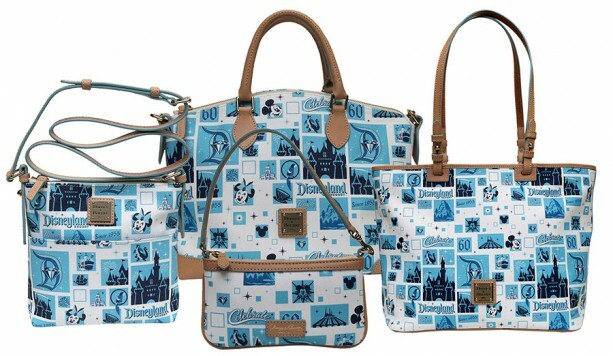 Disneyland Diamond Days sweepstakes. Daily prizes will be awarded to lucky guests of the resort. As in, "Hey, you just won some diamonds". Thank you! New coin presses. YES! This is so awesome. It may seem like something small, but this is big. A pressed coin is the best souvenir because it's thoughtful, inexpensive and you make it. This one kills me most: a merchandise event! The one opportunity to preview and get all the #Disneyland60 merchandise in a great showcase environment. I wish I could go, but I didn't have the resources to buy the package in time and now it's too late. I'll just have to watch the items I want at auction on eBay. Grrr. A 24-hour event: The 24-hour celebration begins at 6 a.m. on Friday, May 22 and concludes 24 hours later at 6 a.m. on Saturday, May 23. See you there! The return of the Mad T Party. Limited edition artwork in all forms, including a collection by Jeff Granito titled "Decades" which looks back at the park through his artistry. More merchandise. Lots of it. It's all shiny and new! Last, but not least, mamma needs that new purple popcorn bucket. Will you be at the resort on May 22nd? Drop me a note so we can meet-up! Stay tuned for more updates as the celebration nears. Visit DisneyParksBlog.com for current #Disneyland60 information.